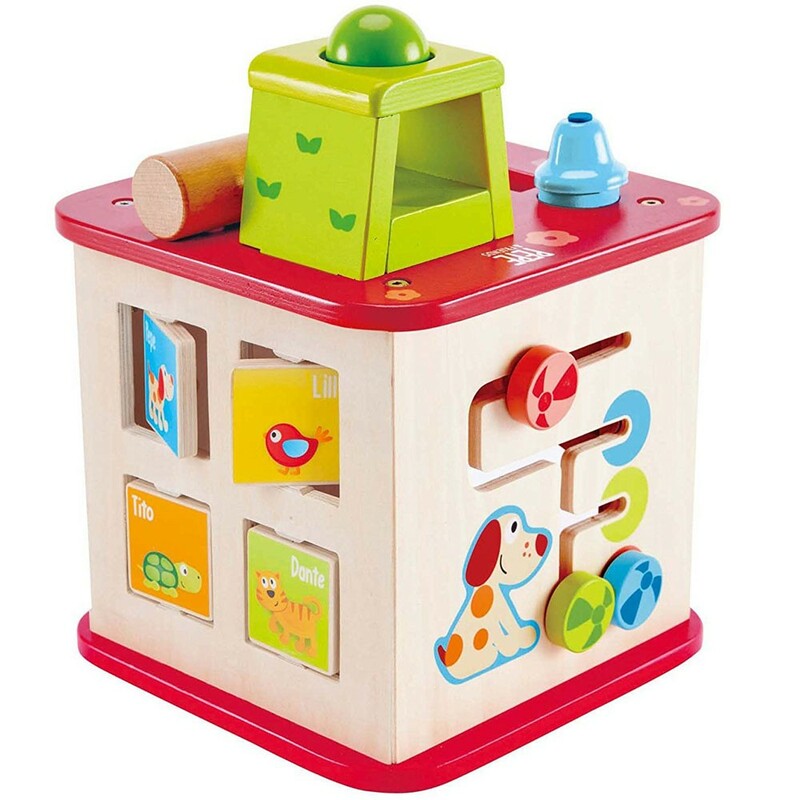 This Hape's toddler activity cube features friendly animals theme and 5 different play surfaces, ranging from a ball maze, to shape puzzles, gear explorations, colorful mazes, and more. Sort, flip, turn, pound, roll, play! 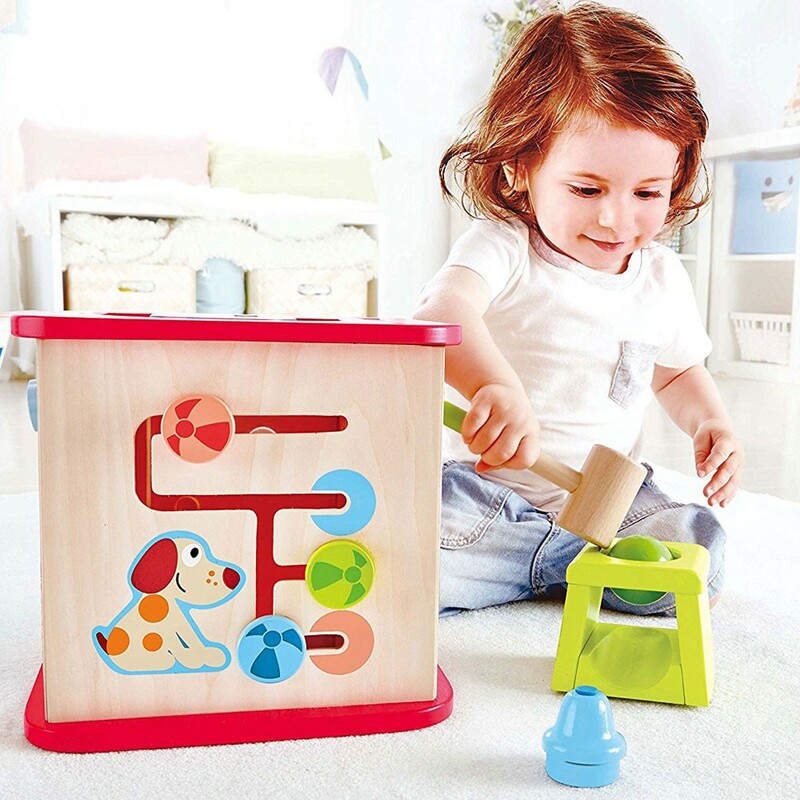 The new wooden activity cube by Hape Toys is full of colors, friendly animal characters, and developmental activities for the little hands! 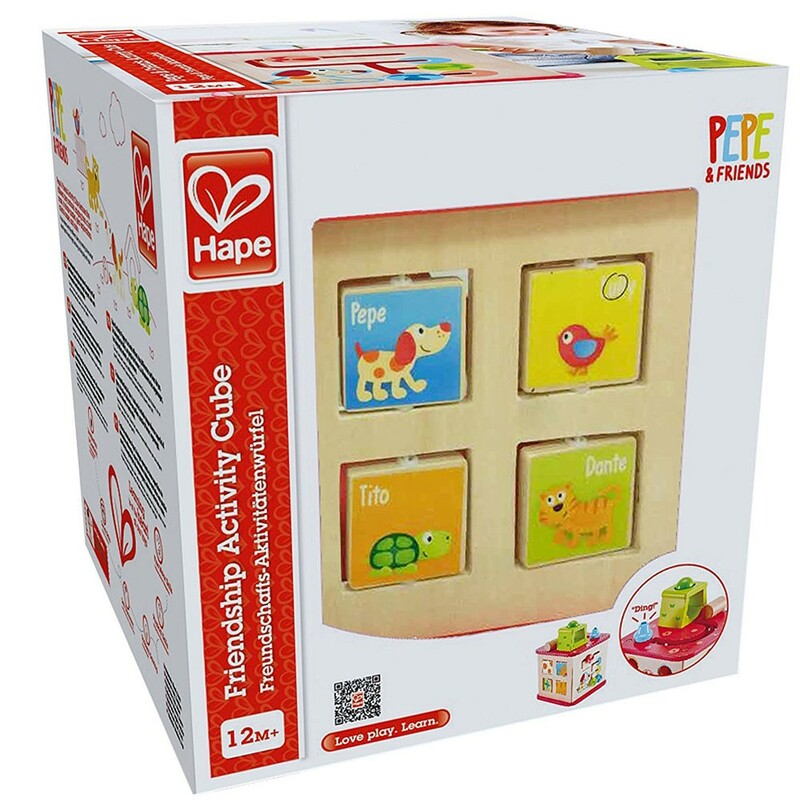 Sized perfectly for any space, tabletop or floor play, Pepe & Friends Wooden Activity Cube 5 Sides Play Center is an exciting baby and toddler manipulative activity toy. 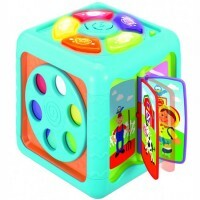 The colorful cube from Educational Toys Planet features 5 vibrant sides of fun. 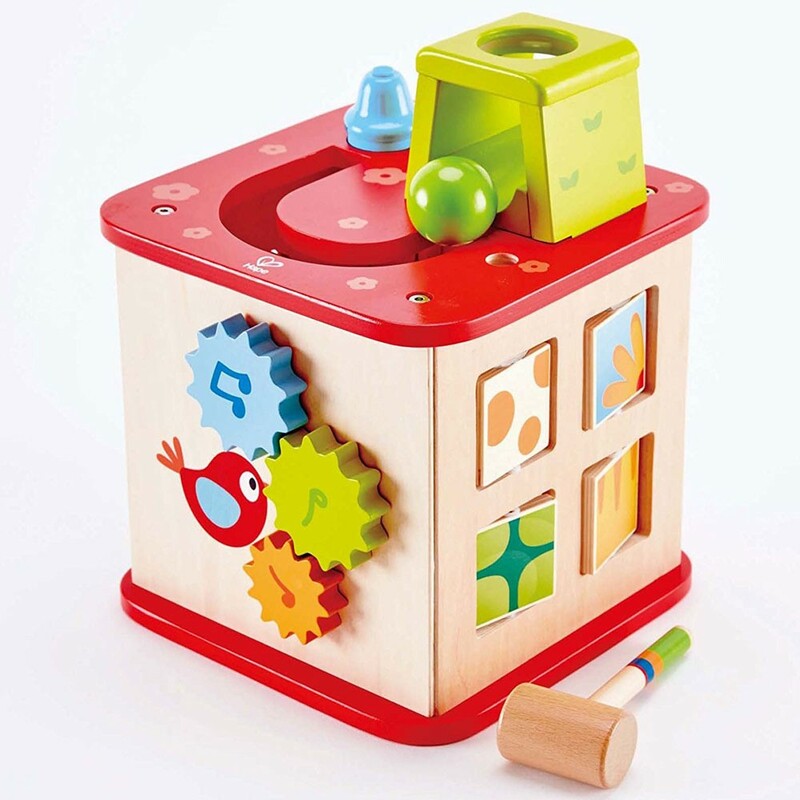 Cute bird will inspire your little one to turn chunky wooden gears. Smiling puppy Pepe will play along as your child guide the balls along the path finder. 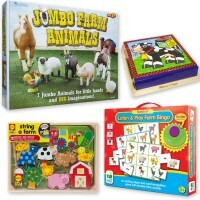 4 animal friends, a cat, a bird a turtle and a dog will play peek-a-boo as your tot flip the illustrated panels. 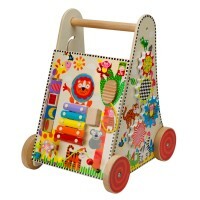 One of the sides is a sorter for whimsical wooden shapes. 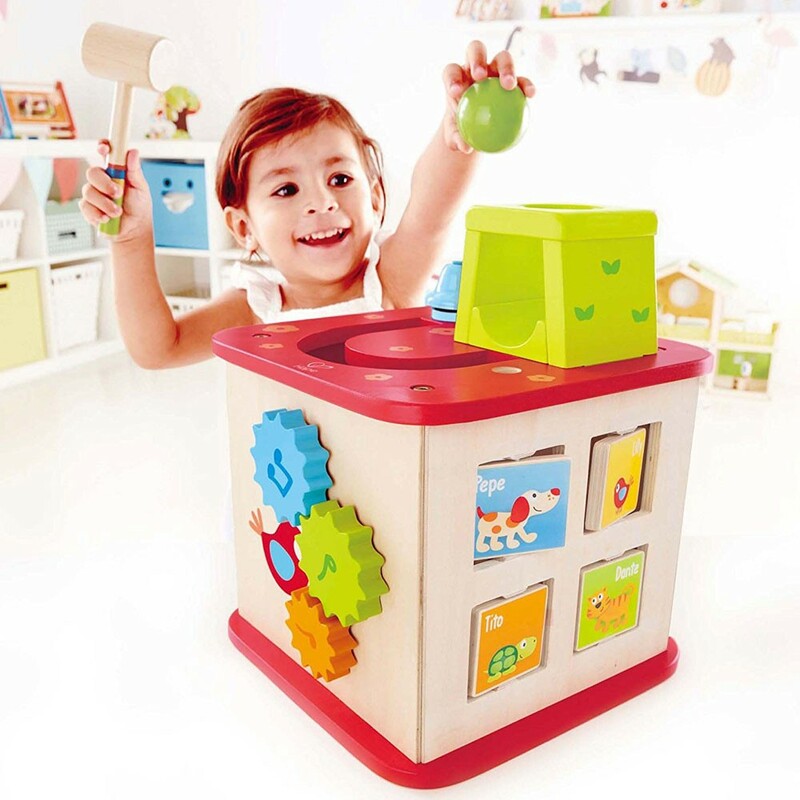 And the activity cube top is a pound-and-hammer toy. It's so cool to top a wooden ball on a special ball drop, pound it down, and watch it roll along the tracks. Your child will be happy to hear the awarding 'ding' from the bell as the ball reaches the end of its track. 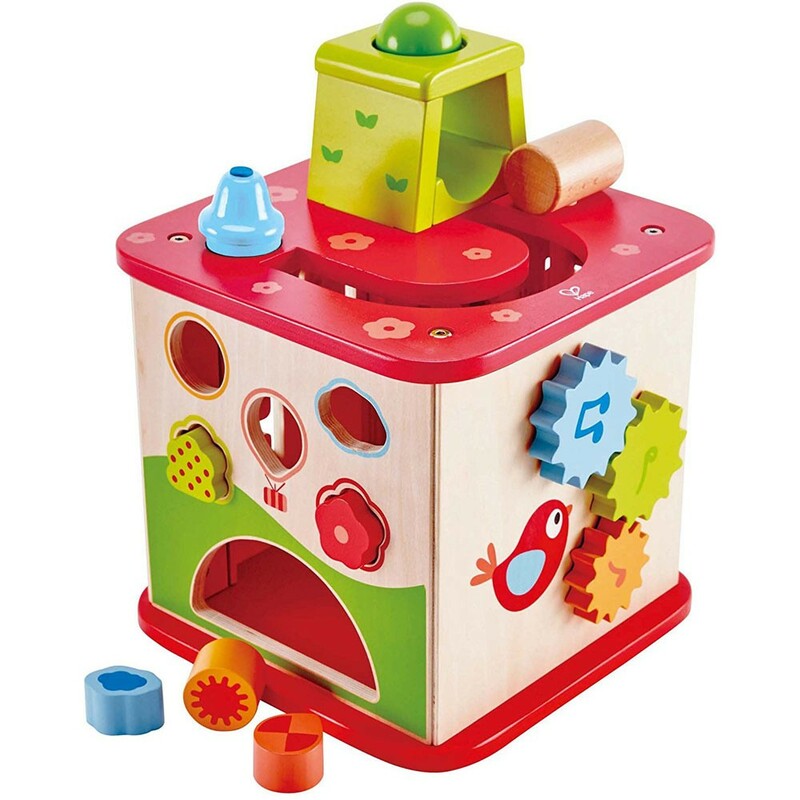 The wooden activity cube promotes motor skills and problem solving skills. 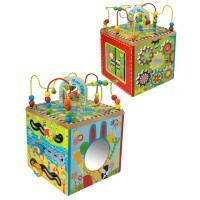 The animal theme play cube is 9.8 x 9.8 x 12.6 inches. 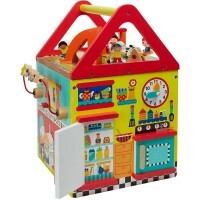 Babies and toddlers of all ages will love this interactive play center! 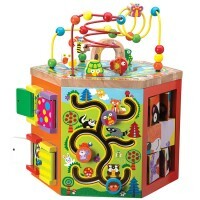 Dimensions of package 9.84" x 9.84" x 12.6"
Write your own review of Pepe & Friends Wooden Activity Cube 5 Sides Play Center. Rating: 4 Great toy by Grammy Great toy but there should be something to catch the balls at the bottom instead of letting them run across the floor. 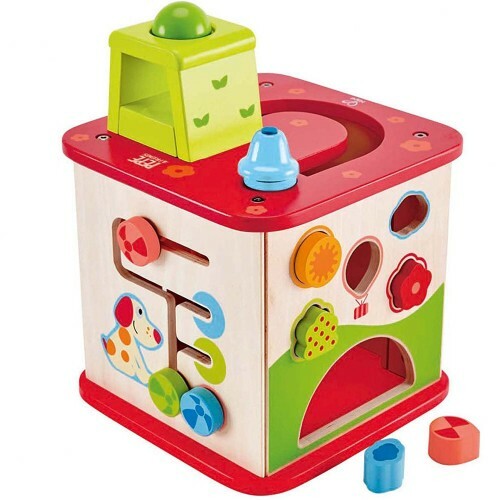 Rating: 5 by Bluma, NJ this is a great wonderfull toy - the children sit full of enthusiasim as each colorfel rattle like ball rolls down from top to bottom. great from ages 12 mos - 2 1/2. 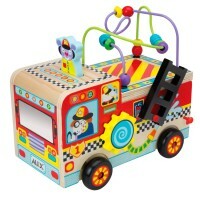 both my children love this and its a great form of quiet entertainment.